Fort Carson Housing Poop . . . This section is devoted to several topics that will interest military families buying Fort Carson housing. I’ll use this page to share my miscellaneous thoughts about Colorado Springs real estate in general, and Fort Carson housing specifically. There’re never enough online images of the homes near Fort Carson! I’m frequently asked to provide "more pics" of Fort Carson housing. Because I work as a real estate agent for military families from all over the world, the requests for additional photographs usually come to me over the internet or a phone call. Here are a few things to know about photographs of Fort Carson housing and real estate brokers . . .
First, I’m not a professional photographer. However, I've won a few awards and know good photographs go a long way to answer several questions about the house you may be interested in. The old adage about "a picture is worth a thousand words" is very true in the process of selling or buying a home. If you’re asking to see additional photographs of a home, I know you’re asking an important question. With this in mind, we’re both frustrated when you don’t see sufficient photographs. This is especially true if you’re overseas, ready to PCS, and looking for Fort Carson housing. Second, most real estate brokers are not skilled in how to make architectural images that properly illustrate a home’s features and benefits. Fort Carson home buyers and sellers should not assume a license to sell real estate qualifies a Realtor® to make good photographs. This is particularly bad because of the general importance good images have in the process of selling a home. In short, Realtors® simply do a poor job with their cameras because they have selected the wrong equipment, they don’t know how to use the equipment they have, or both. This is the reason some Realtors® hire a skilled photographer and then pass on the expense to home sellers. Third, some Realtors® trying to sell homes near Fort Carson or in Colorado Springs intentionally put one or very few images online. Why? The answer is simple: Some Realtors® just don’t want you to see the truth about the house. That is, the inside of the house is trashed, ugly, filthy, destroyed, or simply unsafe for you to enter. The idea here maybe is that you’ll take (sometimes waste) your time to visit the house in the sellers’ dire hope you’ll make an offer to purchase it. This is also why, for example, you’ll sometimes not see images of the backyard; the weeds are so tall you really can’t see the yard or the back of the house anyway. Also, photographs may be missing of the garage because of all the junk that’s accumulated in it. Fourth, the Pikes Peak Association of Realtors® (the source of many images you see on this website) limits the number of online images of a single house. There are legitimate ways around this limitation. But again, the skilled photographer/agent who represents the seller will know how to properly bypass this limitation. So, be wary. When you see very few images online it may be because the agent trying to represent the seller is simply doing a poor job or they’re unskilled. Or, the house has some unusual "features." In any case, if you’d like additional images of homes near Fort Carson, or anywhere in Colorado Springs, I’ll try to get them for you. However, the images you see online are usually all there is. When I work as an agent for you the buyer, I’m able to get more images for you from the seller most of the time. In unusual situations, I’ll just go and make some snapshots for you! Selecting the right Fort Carson Realtor® is important. After all, there are very few of us around. I’ll be giving you a few questions to consider, but first you should know some differences . . .
Not all real estate brokers are Realtors®. However, most all Realtors® are active real estate brokers (to some degree). So, what’s the difference between a broker and a Realtor® ? A broker is simply a third person who facilitates a deal. In other words, a broker is an intermediary who acts to bring a buyer and seller together. This is a very important function because each party (buyer or seller) may not have the skills, experience, time, or know-how to find the other party (seller or buyer). On the other hand, while a Realtor® is a real estate broker with all of a broker’s regular duties, a Realtor® also has an additional duty to uphold a code of ethics. This code of ethics strives to impose obligations on Realtors® that go beyond those obligations expected in ordinary business transactions. Those obligations are also directly aimed at protecting and promoting the interests of the Realtor’s® client. A Realtor’s® obligation to the client is primary, but it does not relieve Realtors® of their obligation to treat all parties honestly. Furthermore, the term "Realtor®" has come to connote competency, fairness, and high integrity resulting from adherence to a lofty ideal of moral conduct. In short, a Realtor® is a real estate broker, but a real estate broker is not necessarily a Realtor®. Furthermore, Realtors® are obligated to conduct themselves according to a code of ethics. In contrast, a real estate broker is not obliged to interact with you with the Realtor’s® code of ethics in mind. 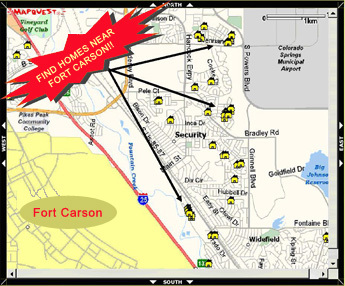 So, who generally is better to help you find Fort Carson housing? Should you select a common real estate broker, or a Realtor®? I hope you see that a Realtor® is your best choice to help you with Fort Carson housing . . .
First, does the Realtor® listen to you? In other words, do you feel like you’re being heard? Second, can you understand the Realtor®? Simply put, does the Realtor® make sense when talking with you about Fort Carson housing? Third, does the Realtor® return emails and phone calls from you? Fourth, is the Realtor® available on YOUR schedule, or do they post "office hours" and confine you to a schedule convenient for the Realtor®? Fifth, what does the Realtor’s® website design and layout tell you about the Realtor® and Fort Carson housing? Is the website really about the Realtor®, or is it intended to inform you about Fort Carson housing? In the process of buying Fort Carson housing, it’s very common for military families to feel the pressure of time just before a PCS. The last thing you need is poor communications. Many times, the best way to evaluate a Realtor’s® communications is to make contact, and then simply listen to your instincts. There are a lot of good Realtors®. 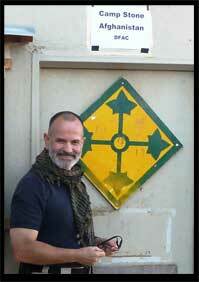 However, very few have the experience I have. . .